Too much all at once of a good thing is never a good thing - even when it comes to health-supporting vitamin C. Too much vitamin C at once simply goes to waste. As a water-soluble nutrient, whatever the body can't use up is excreted through urine. That's why you should take your vitamin C supplementation slow and steady with C-TAB Slow Release from Hakala Research. 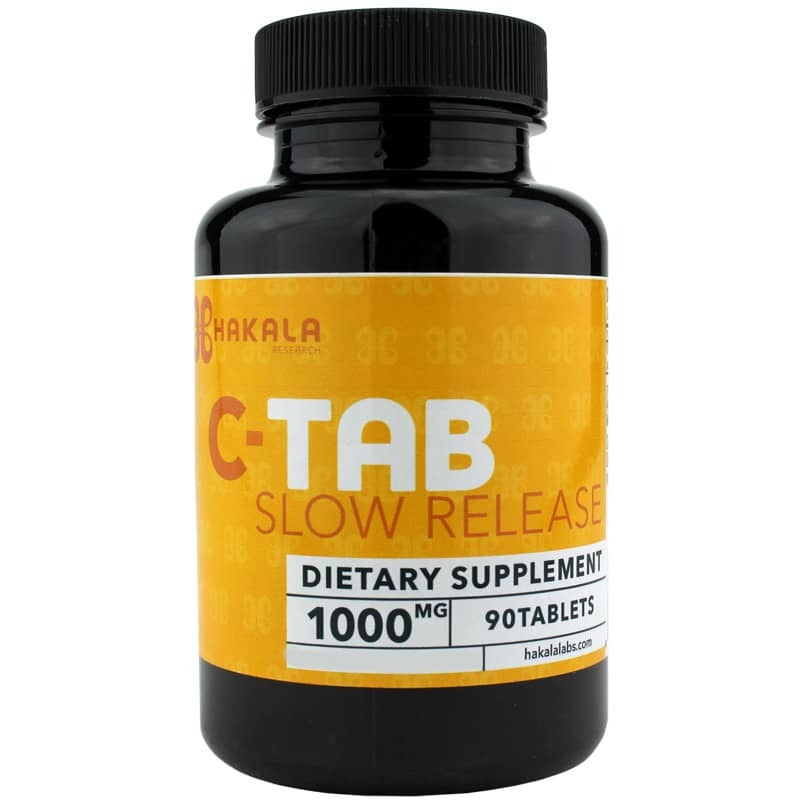 C-TAB Slow Release is an ascorbic acid vitamin C supplement designed to release 1000 mg vitamin C slowly over time with just one tablet, allowing your body to more fully absorb and use it. Vitamin C is most well-known for its immune-supporting activity as well as its benefits as an antioxidant. However, it also supports biosynthesis of collagen, L-carnitine and certain neurotransmitters, and plays a role in protein metabolism. In addition, it assists in the healthy function of the NIS (sodium iodine symporters), which allows cells to pull iodine into them. 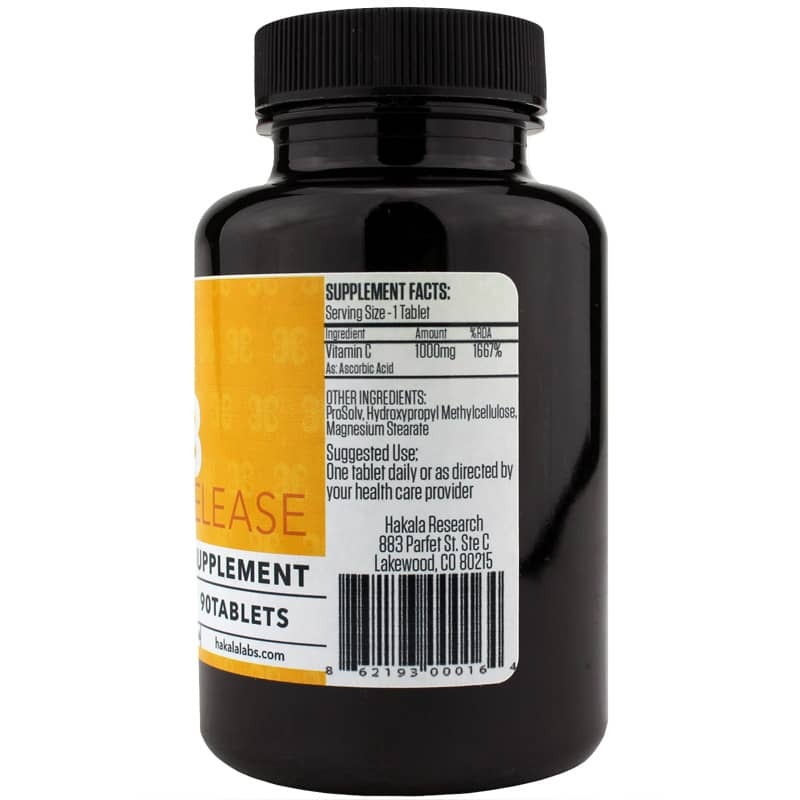 Keep your health steady with steady vitamin C. Order C-TAB Slow Release today. Other Ingredients: ProSolv, hydroxypropyl methylcellulose, magnesium stearate. We love your C-Tab Slow Release 1000mg tabs as they seem to keep us healthy along with eating healthy. We have recommended them for many family members and friends. When they have a bad cold they double up on the C-Tabs and don't have to take antibiotics so we get a lot of praises. Thank you for your C-Tab Slow Release tabs!